The Site Group is a high-end Landscape Contracting firm that was incorporated in April of 1995! 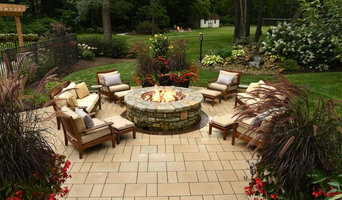 The Site Group will transform your landscape into a series of well designed and thoughtfully appointed outdoor rooms. We specialize in luxury projects that will make your family want to come home! Our team of Landscape Architects, Designers, and craftsmen will help merge your budget with your dreams to increase the usability of your outdoor spaces. Working through our 6 step process of planning, design and implementation- you will experience the ease of communication and attention to detail that prompts our customers to refer us to their friends and family. Although our clients own or manage residential, commercial and institutional properties, we seek to serve the “design” market – clients who want unique solutions. We are located outside of New Carlisle, Ohio. Our service area includes Clark, Miami and Montgomery counties and nearby sites in the adjacent counties. Werbrich’s Landscaping is a full service landscape company. We serve the Greater Cincinnati, Southeastern Indiana and Northern Kentucky areas. Our goal is 100% CUSTOMER satisfaction. 87% of our business comes from client referrals and repeat customers. We are dedicated to customer satisfaction. When the project is complete, every client receives a customer opinion survey. From start to finish our process ensures that we meet or exceed your goals and expectations. Rated A+ by the Better Business Bureau Nominated for a Torch Award We are one of largest employer of co-ops from Cincinnati States Landscape Horticulture Department. DeVore’s Land & Water Gardens Inc. is an artisan landscape company anchored in exceptional personalized design and technical excellence in our installations. Dedicated to the motto “Our Work is Our Art”, we have grown founded on that principle. With excellence as our ruling dynamic, we’ve resisted the temptation to let our work be “good enough”. Therefore, compromise is not an option: whether in design aesthetics, quality materials, soil and plant health, artisan craftsmanship, or functional requirements such as drainage and storm water management. With this in mind, our entire staff is involved in continuing education in all areas, never content to think ‘we have arrived.’ We participate in state, national and international seminars and workshops, and we network through numerous trade organizations. We learn both ancient and modern techniques from master artisans, which we incorporate into our landscape design and construction processes. We also believe strongly in sharing what we know, through seminar and workshop venues on a state and national level, to train other professionals in design, art form landscape construction, and stone aesthetics. Wimberg Landscaping has been servicing properties in the greater Cincinnati area for over 33 years. In that time Wimberg Landscaping has grown from two employees and a truck to over 45 employees and 25 trucks. We provide professional “one-stop” landscaping services, from the initial design and installation of all plant materials and hardscapes, to on-going maintenance, including lawn services, leaf and snow removal. Located in central Cincinnati, OH, Supreme Scapes is a fully-insured landscaping company caring for commercial and residential properties. Our clients appreciate our trustworthiness and professionalism. We invite you to review our work and contact us to discuss your property needs. We believe in close-knit communities, families that love to be outside together, and kids who choose nature’s playground over the lure of digital distractions. We believe that friends who hang outside together, stay together. We like to connect with each client so we can personalize their yard. We take the extra time for the finishing touch so we can step back and say, ‘and that, friends, is art.’ We appreciate the opportunity to earn their trust. By taking care of our clients' outdoor spaces, we pave the way for quality time, strong communities and fun-filled memories. Let's create something beautiful together! Gilb Landscaping, Inc. has a reputation for providing professional service and quality work that exceeds the expectations of our clients. Gilb Landscaping is a family-owned business that's been serving the Cincinnati tri-state area since 1976. In that time we’ve designed and installed exceptional landscapes for some of the area’s finest residential and commercial properties. We are convinced that a thoughtfully planned and expertly executed landscape reflects the image and personal lifestyle of our clients, and also positively impacts their homes’ property value and aesthetics. Gilb Landscaping, Inc. brings the right blend of educational background and industry experience to every job. Warren's Landscaping creates custom outdoor living spaces using stone, beautiful plants, elements of water and LED landscape lighting. H & T Services, LLC, is one of the most reliable and trusted lawn maintenance and landscaping services in the Greater Cincinnati area. As a Veteran Owned Business, we pride ourselves on being prompt, professional, and affordable. With over 10 years of combined experience in commercial and residential grounds maintenance, we can help you create your dream landscape! We specialize in a broad range of landscaping techniques and work hand-in-hand with a team of grounds maintenance professionals to bring you a well-rounded approach to your lawn care needs. We follow the philosophy that each lawn is unique and provide each client with a personalized plan to fit the lawns' specific needs. Country Club Landscaping is a full-service landscape management company with a passion for personal service. A professional team to satisfy all of your lawn and landscape needs – from design to installation to maintenance and even expansion. We’re dedicated to providing value and building long-term customer relationships. We’re the partner you need for a beautiful landscape all year long. Hidden Oasis is the culmination of years of work in the landscaping industry. We bring in-house design and construction for clients in Dayton, Columbus, and Northern Cincinnati areas. Our family-owned company has roots that date back to 1983. Classic Touch Landscaping was born when Joel started mowing his first commercial contracts for local apartments and condominiums. 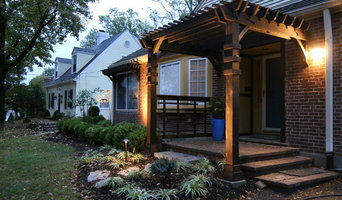 As the company grew, he moved into landscape and hardscape projects. Chad grew up working with his father, Joel, from a young age. As Classic Touch grew in size through the 90's, the focus became landscape and hardscape design and installation. Eventually mowing was phased out and Classic Touch Landscaping became Classic Touch Design. Joel and Chad worked on many landscape and hardscape projects until Chad graduated from The Ohio State University. After Chad worked in another industry for several years, he talked to Joel about partnering together to create a company with a new name. Together, they started Hidden Oasis Landscape & Design in 2016. 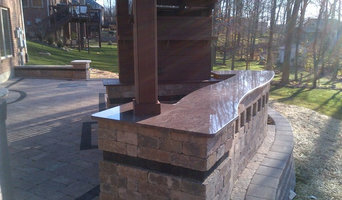 The company is the culmination of decades of experience in both landscape and hardscape design and installation.